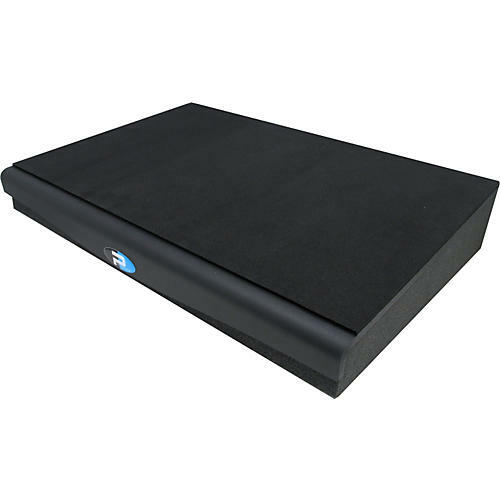 The Recoil Stabilizer is a loudspeaker platform that combines three basic components: a high-density urethane foam base to isolate the speaker from the shelf, monitor-bridge or stand; a heavy &frac1/4" laser-cut steel plate; and a thin neoprene top surface. The foam effectively decouples the loudspeaker to eliminate vibration-borne resonance that invariably introduces phase anomalies, while the steel plate introduces significant mass to the structure, stabilizing the speaker. The no-slip surface coats the top to ensure the monitor stays firmly in place.